Our first clash of round twenty saw Moreland take on Carlton with both sides vying for third position, a win was vital for both. It was the Blues who struck first through a lovely move involving three former Heart players with Abdirizak Ahmed on hand to tap home and give his side the lead. Carlton then hit back through youngster Daniel Aliano who finished froma tight angle to make it two goals in two games and have his side level at the break. Early in the second half Moreland gained the momentum back and regained the lead as well as Adam Cooper found the net to make it 2-1 with an effort from half way, and a counter attack was finished off by Cooper soon after as he had two in quick succession and gave his side a two goal lead. A time out from Carlton steadied the ship as Aliano was on hand to tap home for a second time and have his side within a goal. Aliano had then become the unlikely hero as he picked out the top corner to complete his hat trick in just his second senior game and have the Heart level. As he had done so many times already this season, Atay Ibrahim was able to put Moreland ahead again, before another late strike from Ibrahim sealed the points for the Blues as they now seem the more likely to finish in third place. Next up saw the game with perhaps the most importance on the night as Altona took on Melbourne Athletic with the two bottom sides in the league doing battle. A win for Altona would see the Bravecats relegated and with everything to play for it was the Knights who drew first blood with Durim Cura finding the net from distance to give Altona the lead. Melbourne hit back through the big shooting Simone Pelletti to bring his side level, before Ed Evans finished a one on one chance to see his side go into the half time break leading 2-1 and have the game in the balance. Early in the second half it was Athletic who looked to have the hunger to take the win here as a well worked free kick saw Pelletti find the net for a second time and open up a two goal advantage. Melbourne were right on top in the game and had chance after chance to put the game to bed, but they blew a host of chances and with under two minutes to play Altona pulled a goal back through Nikola Jurcic who split the wall and set up a grand stand finish. 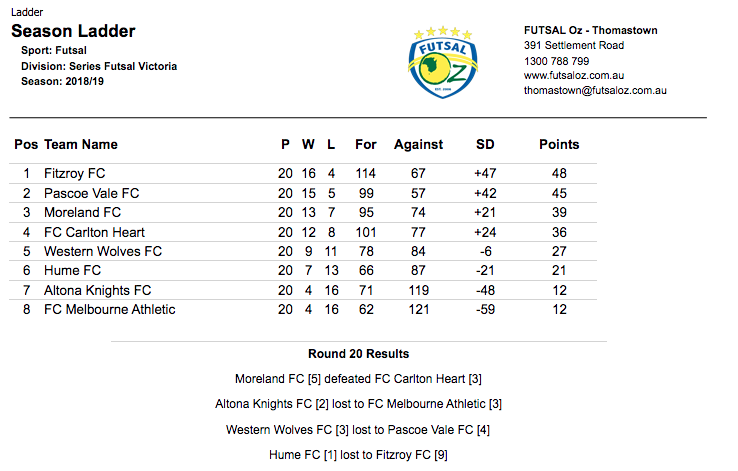 Despite Altona throwing all they had at Athletic it wasn’t to be as the Bravecats held on to draw level on points with their rivals and set up a massive final day. Next up saw Western Wolves looking for survival take on Pascoe Vale who were chasing the league title. It was Pascoe who opened the scoring after some early pressure saw Andre Caro drive a low effort into the bottom corner to open the scoring. The Wolves would draw level when Ahmed Azzam scrambled the ball home from close range to have the scores level at the break. 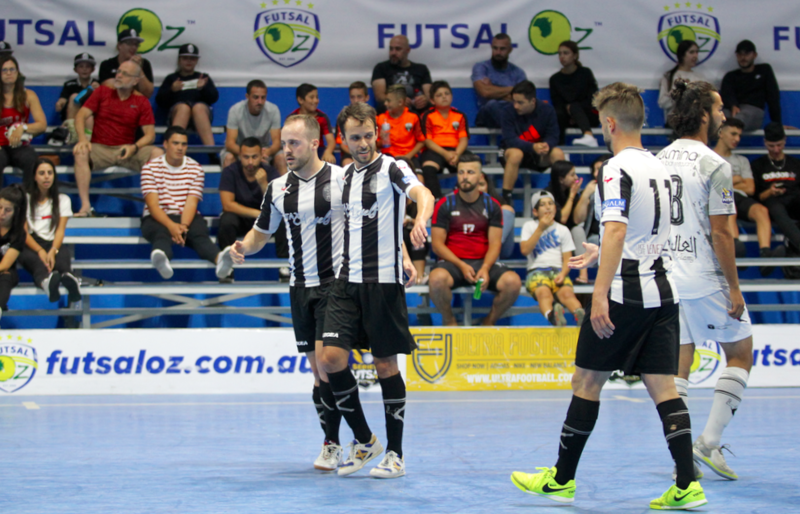 Pascoe Vale continued to pepper and their pressure paid off as Mauricio Novak finished off a lovely passing move to restore the Lions advantage, before Henrique Fernandes-Pimenta struck from distance to open up a two goal cushion. With Pascoe running away with it, the Wolves were not done with yet and managed to draw level late on as Ubeyde Cicek and Michael Nguyen both found the net to all but send the game to penalties. Pascoe were not to be denied as Caro stepped up when it mattered to seal all three point for Pascoe Vale and send the title race down to the last week. 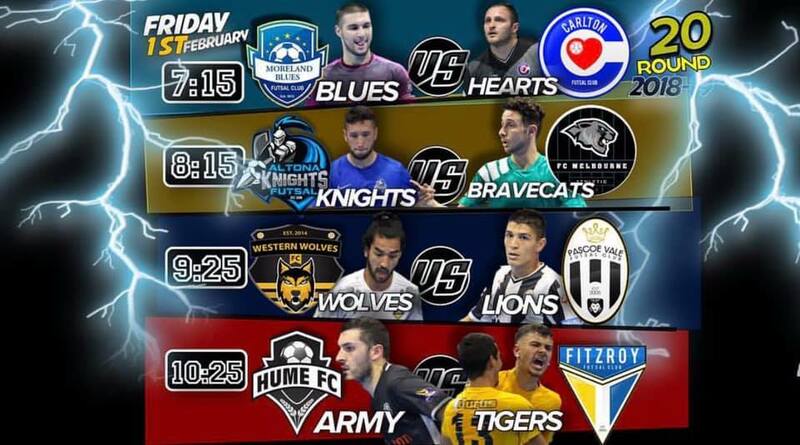 The final game of the night saw Hume who were desperate for a win to avoid a relegation playoff, take on Fitzroy who were seeking to regain top spot. 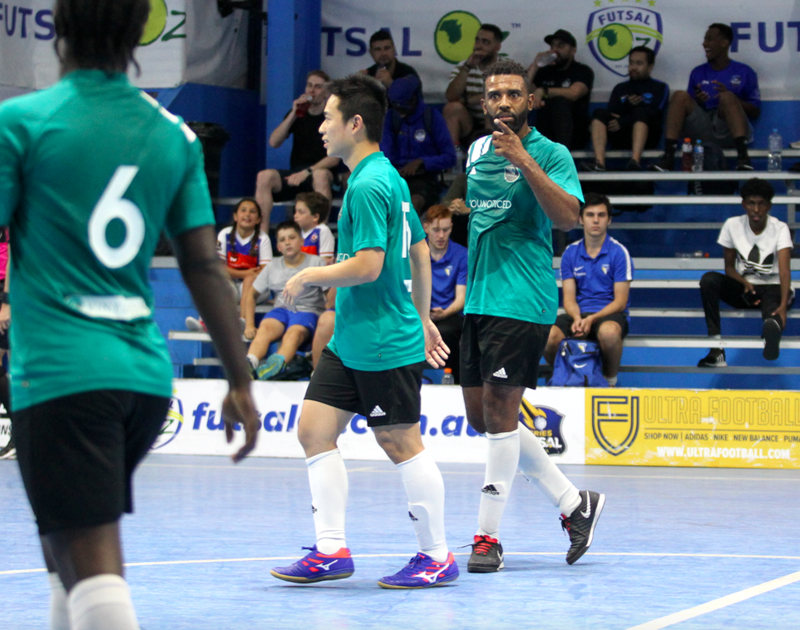 It didn’t take long for Fitzroy to open the scoring as Jose Filho fired home, before Hume hit back as Moe Matar found the net after a lovely piece of skill. Fitzroy would again pull ahead as Ben Monteleone turned home a Cosimo Russo strike to remain ahead at the break. 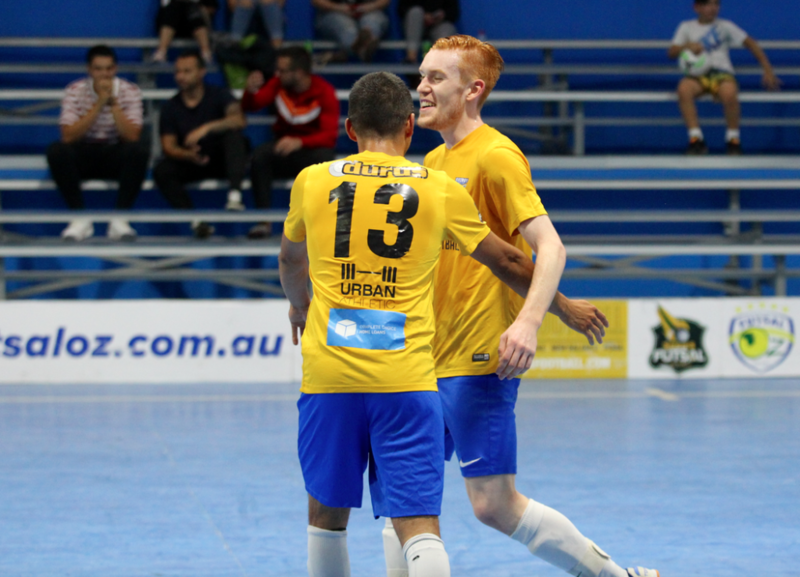 Fitzroy were beginning to get on top and open up a two goal advantage when Russo lashed home to give Fitzroy some breathing space, before Jose Filho struck to all but seal the win. 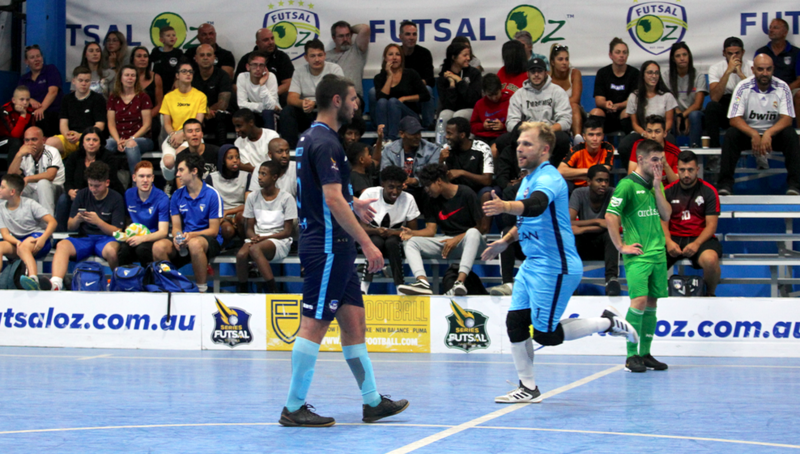 A late flurry of goals saw the score blow out as Russo added another as well as goals to Filho, Parthimos, De Moraes & Yu sealed an emphatic win to put Fitzroy one step from the title.